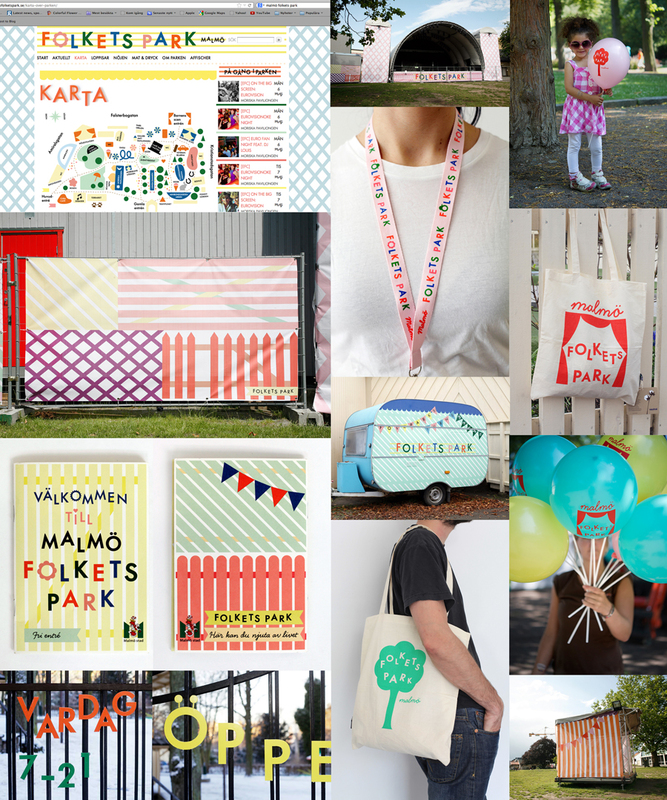 A graphic identity and logo for Malmö Folkets Park. The concept is influenced by traditional Folk Park aesthetics and the flexible signage system that was designed for the park in 2009-2010. 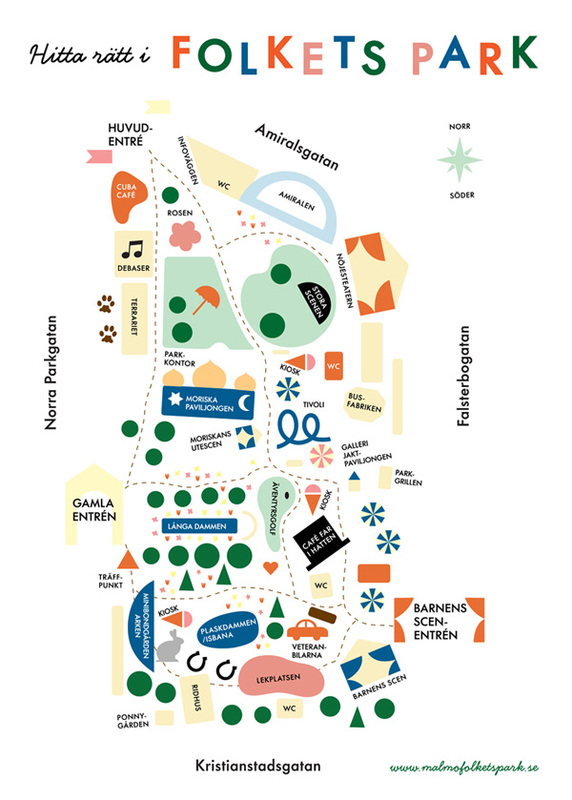 The concept is quite free, as the park itself should be, and is based on a set of elements such as light bulb frames, pennants, gates and fences that can be applied to various graphic material. 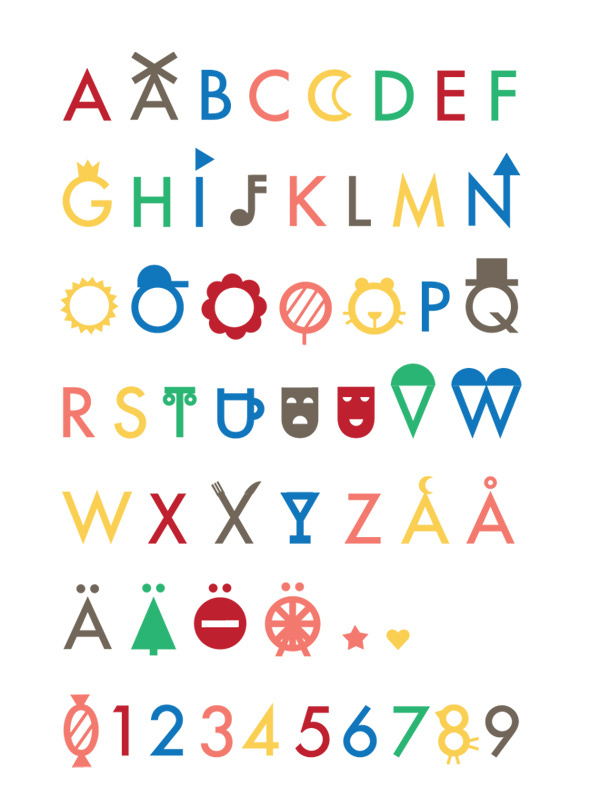 A customized alphabet, Kioskis, was created based on the characteristics of the park.